Looking for an Easter treat that will make your friends and family HOPPY? Our Easter FUNday Special brings all of the fun of Fun Fore All Family Fun Park at half the price - for Easter (April 21st, 2019) ONLY, all of our Time Play Passes are 1/2 OFF! • Mothers get one (1) FREE two (2) hour Time Play Pass. • Mothers get 10% OFF all Time Play Passes purchased for the day. • Mothers can register for our Mother’s Day Prize Pack! *No purchase necessary. Two-Hour Time Play Pass must be used that day. Not valid with any other coupons or discounts. Height/weight restrictions may apply to some attractions. Offer only available Sunday, May 12th, 2019. Victim Outreach Intervention Center (VOICe) provides confidential services at no cost to individuals & families who are survivors of domestic violence, sexual assault and other crime victim services for the more than 180,000 people whocall Butler County, Pennsylvania home. - Participants old and young are randomly split into six teams to see who can deliver their egg safely to the finish line. 1) We have purposely discounted the parties in order that families can come out and enjoy a “special” night at the park at an affordable rate. 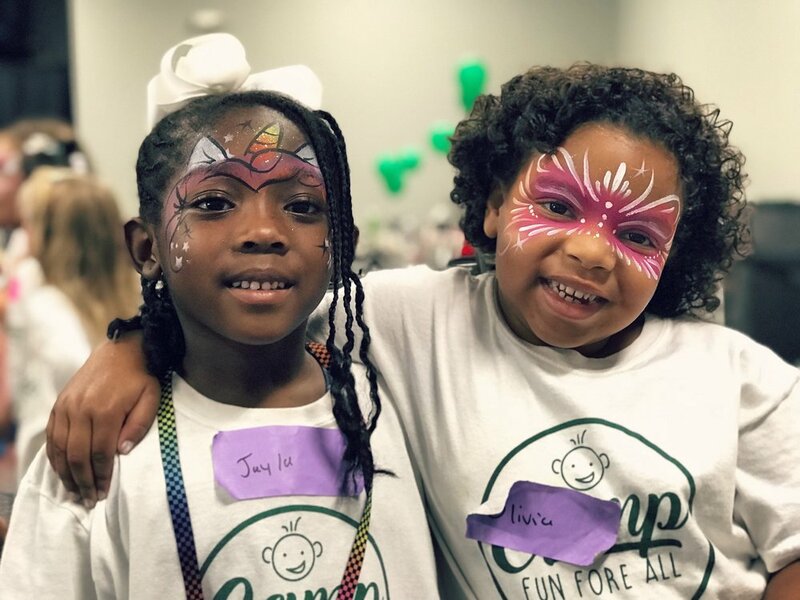 For instance, a Four-Hour Indoor Play Pass is $21.99 by itself, and each party comes with a Four-Hour Indoor Play Pass PLUS all the other party extras. 2) Each special event party is purposely designed small (only 102 seats per party) to make the event more intimate for the families who participate in it. As most of our parties sell out, it is important that we make sure that the people sitting in those seats are paid customers. As part of our March Madness deals (CLICK HERE to learn more) happening ALL March long, our Painted Rock Treasure Hunt is returning! WHAT IS THE PAINTED ROCK TREASURE HUNT? At 3:15PM on every Tuesday and Thursday in March, we will be releasing a clue or clues on our social media (Facebook, Instagram, and Twitter) to where our Fun Fore All Painted Rocks are hidden that day! If you and your family find one of our Painted Rocks and return it to our park, you WIN a $50 Fun Card! It's that time of year again, time for MARCH MADNESS - when our deals get crazy and you WIN with the BEST offers on FUN all month long! WHAT IS 1/2 OFF TICKET GAMES WEEK? From Monday, March 25th - Friday, Mach 29th, 2019, we will be hosting 1/2 OFF TICKET GAMES WEEK - ALL ticket games are 50% off ALL DAY, Monday - Friday! *Excludes non-ticket and prize games! WHAT IS INDOOR PLAY PASS WEEK? From Monday, March 18th - Friday, Mach 22nd, 2019, we will be hosting INDOOR PLAY PASS WEEK - $10 Two-Hour Indoor Play Passes ALL DAY! 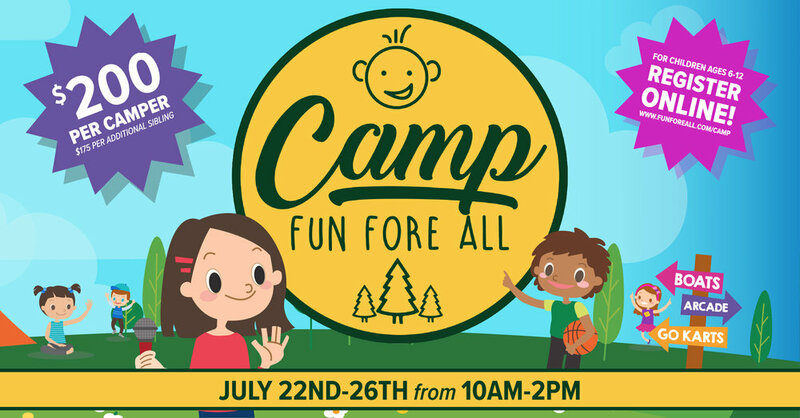 *Includes unlimited use of all indoor attractions (Ballocity, XD Dark Ride, and all non-ticket/non-prize games arcade games). Also comes with $5 value on your Fun Card to play ticket and prize games. Indoor Play Passes only valid on day of purchase. WHAT IS NICKEL PLAY WEEK? From Monday, March 11th - Friday, Mach 15th, 2019, we will be hosting NICKEL PLAY WEEK - ALL of Fun Fore All Family Fun Park's video games are just 5¢ to play ALL DAY, Monday - Friday! WHAT IS FREE BALLOCITY WEEK? From Monday, March 4th - Friday, Mach 8th, 2019, we will be hosting FREE BALLOCITY WEEK - FREE Ballocity admission for everyone ALL DAY, Monday - Friday! Calling all ballers, shot callers, and hoop aficionados! Think you have what it takes to be the BEST at our NBA Game Time arcade game? Well, here is your chance to prove it and WIN BIG! If your score is the highest score out of both of our NBA Game Time arcade games and it stays atop our leaderboard by 10PM on March 31st, 2019 - you WIN a $250 Fun Card to Fun Fore All Family Fun Park! When you set the high score, immediately go to the front counter and tell a Fun Fore All Family Fun Park employee. They will stop by our NBA Game Time arcade games to check your score and take your contact information down. At the end of the month, if you are the winner, we will contact you on April 1st, 2019! • Balloon Poppin’ Hot Potato – Timed balloon poppin’ contraption is passed around the players until balloon pops – when it pops the player holding it is out. The last player to NOT have the balloon pop WINS a $25 Fun Card! 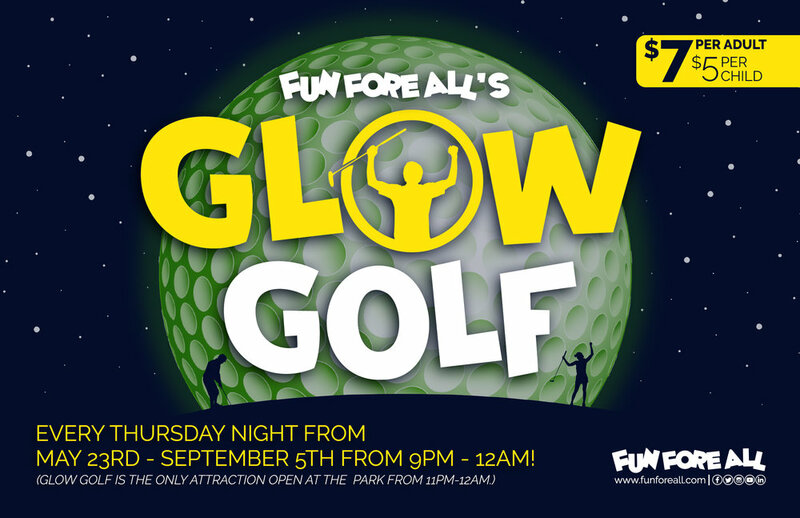 5-10PM - $39.99 for four (4) admissions to Holiday Lights Mini Golf (both courses), one (1) Large Pizza, four (4) unlimited refill drinks – over an $80 value! Christmas might be over, but that doesn’t mean the holiday family FUN stops - experience BOTH Holiday Lights Mini Golf courses for the price of one ALL WEEKEND! 5-10PM - Dress-up in your favorite Pittsburgh Steelers, Pittsburgh Pirates, or Pittsburgh Penguins clothing for a FREE $10 Fun Card. 6-8PM - Holiday Lights Mini Golf Meet n’ Greet - meet and mini golf with the Pirate Parrot (the Pittsburgh Pirates mascot) on our Holiday Lights Mini Golf greens.